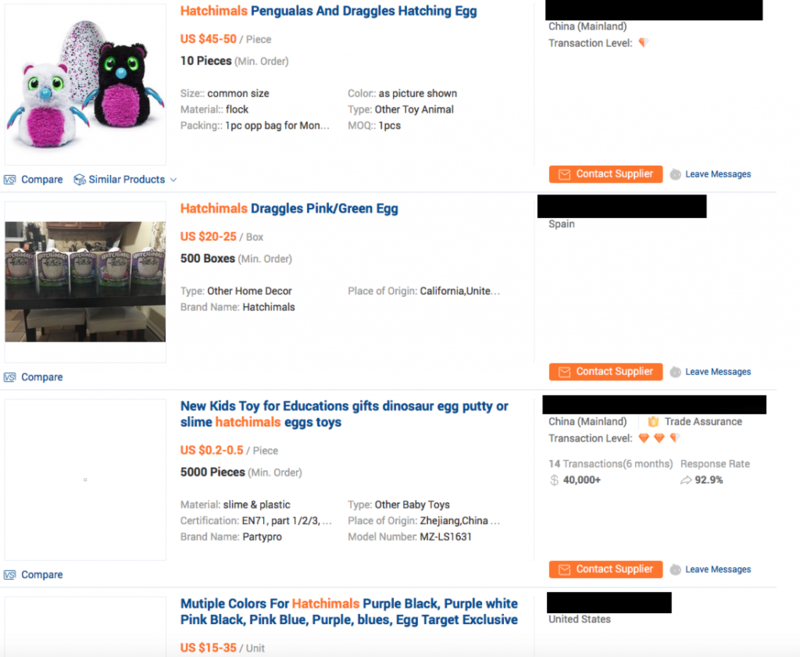 Home » Shopping » Fake Hatchimals, Do They Exist? Fake Hatchimals, Do They Exist? 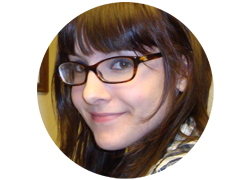 I’m going to talk about something a little different in this post, completely un-related to sewing. I’m usually not a fan of loud electronic toys but I’m going to admit that Hatchimals are pretty amazing. 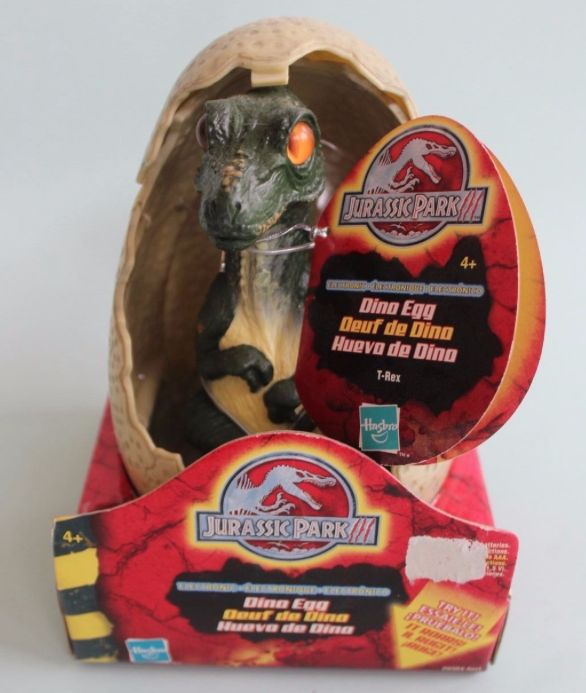 They hatch (obviously), they are interactive, and most importantly they have an on and off switch on the bottom (along with a volume control option!). Naturally they have been a hit. If I was younger I would be bothering my mom daily to make sure Santa nabbed me one. After some research it looks like there might be fake hatchimals available. This post contains affiliate links. Feel free to blame any purchases on me! I’ve also read about knockoff hatchimals from the “wish” app too, I’d be cautious purchasing from there too wish can be sketchy. I’d definitely wait for January before ordering from wish so you don’t end up with a fake hatchimal. Google “wish fails”. You won’t be disappointed. There’s a few ads floating around for Fuzzy Wonderz, The website was registered on November 11th (2016), I haven’t seen any Fuzzy Wonderz reviews yet. They look kind of like furbies with questionable haircuts. 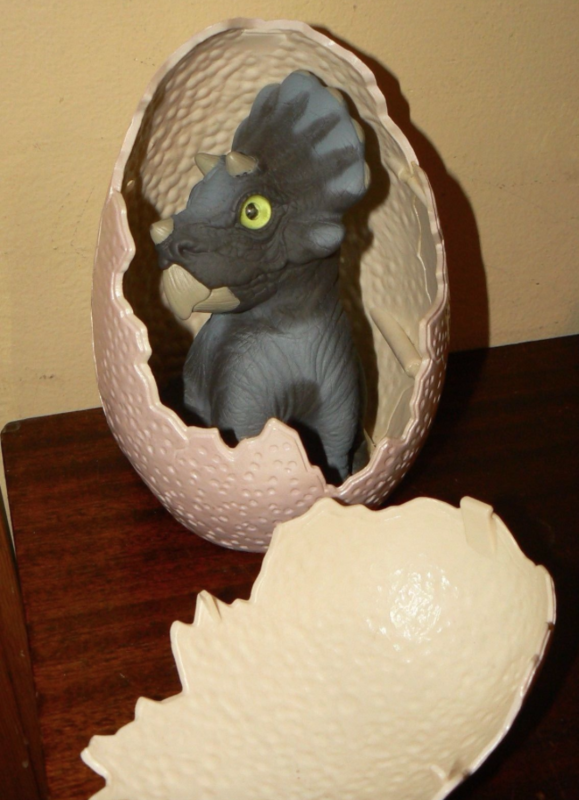 What if You Can’t Find a Hatchimal? Because of the overwhelming demand it’s very difficult to find Hatchimals for sale at retail prices. What if you can’t find the toy your child desperately wants for Christmas? 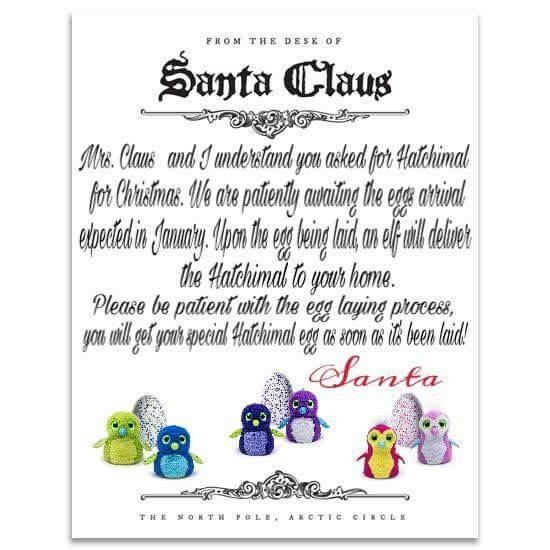 I saw this really lovely picture shared on Facebook, it’s a letter from Santa explaining that the “egg laying process” has been slightly delayed. I think its a genius solution! Enlist a crafty friend or family member to make a little nest for their future Hatchimal. You could wrap up the nest and include the letter in the nest. Where to Find a Hatchimal? Target, Amazon, and Toys R Us. BUT at this point in time it’s really hard to come across them “in the wild”. There’s a selling app called Mercari that has several hatchimals for sale, the prices are slightly lower than eBay prices because (currently) Mercari has no selling fees! Use the invite code NRZPMQ for $2.00 off your first purchase. There are many for sale on eBay too. Take a close look at the seller’s feedback and if they have an unusually large number of Hatchimals for sale. If there’s a lot that might be an indication that they’ve purchased knock-offs online. While there isn’t anything currently on the market that’s exactly like a hatchimal I found a few toys that might be similar to a hatchimal. Using one of these along with a raincheck from “Santa” (see above) could help lessen any distress on Christmas day. While it isn’t interactive or flashy like the hatchimal it has the potential to keep your kid occupied for the same amount of time that the hatchimal hatching process would take. Bonus points for being messy and involving dinosaurs! Here’s another dinosaur toy, it’s a bit pricier but makes noise. It’s really cute too! Hatch’ems These guys expand in the water and hatch over a period of 48 hours. Includes a penguin, turtle, alligator, and some sort of unidentified yellow creature. I actually had one of the first incarnations of Kitty Surprise from the 90’s. These stuffed animals have a velcro pouch where you can hide the little kittens. And these dinosaurs hatch in water.